Many types of particles, such as protons and electrons, have electric charge. Electrons and protons are electric monopoles, though we don’t usually refer to them that way. This means they have a single charge, with protons being a positive monopole, and electrons being a negative one. 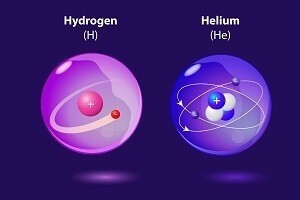 In our everyday experience, electrons and protons (and neutrons) tend to be bound together into atoms. From at human-scale distances the positive and negative charges average out, so we don’t really notice them, but it is fairly easy to separate some of the positive and negative charges. If you’ve ever gotten a static shock, it’s because you’ve separated a few too many positive and negative charges, and the shock is them coming together again. Magnets behave very differently. A magnet has a north and south pole, similar to charges, but you can’t separate the poles. If you break a magnet in half, then instead of getting a north magnet and a south magnet, you get two separate magnets, each with a north and south pole. The reason for this is that the atoms or molecules that form a magnet each act as a small magnet, and are aligned to make a stronger one. So it is impossible to separate the north and south poles in such a magnet. The mystery comes from the fact that electricity and magnetism are connected as a fundamental force called electromagnetism. One consequence of this is that moving charges can create magnetic forces and moving magnets can create electric forces, which lead to electromagnetic waves (light). The equations that describe electromagnetism are symmetrical when it comes to treating electricity and magnetism. But electric charge breaks this symmetry, because there are electric monopoles (charges), but there are no magnetic monopoles. This might seem like much of a mystery, since it may just be the way the universe works. Just because we’d like a theory to be symmetrical doesn’t make it so. But if there were magnetic monopoles, it would solve another mystery, known as charge quantization. The charge of any particle can be given as an integer number of electron charges, either positive, negative, or zero. This means that charge is quantized into charges of +2, -1, 0, etc. You never see anything with a fractional charge. (Some of you may ask “what about quarks?”, but these are always bound such that the total charge is an integer.) Quantized charge is a basic aspect of physics, but we aren’t entirely sure why charge is quantized. If magnetic monopoles exist, then this would solve the charge quantization mystery. If you had a number of electric and magnetic charges, the electromagnetic field they produce would have a an angular momentum (rotation) that depends on value of the electric and magnetic charges. In quantum mechanics angular momentum is quantized, which means the charges would also be quantized. What’s particularly interesting is that even a single magnetic monopole would quantize all the electric charges in the universe. Magnetic monopoles are also predicted by symmetry models such as string theory. There’s just one problem: they’ve never been observed. About a decade ago, a detector known as MACRO (Monopole Astrophysics and Cosmic Ray Observatory, seen here) was developed to try detecting magnetic monopoles. In string theory magnetic monopoles could be fairly massive (for an elementary particle), so there was some hope that they could be detected. MACRO didn’t detect any monopoles. Other detectors, such as the LHC’s MoEDAL detector have also failed to find monopoles so far. It’s possible that magnetic monopoles are too light to be observed by current detectors, but it’s also possible that they don’t exist. The theoretical framework that proposes monopoles is compelling, but that’s not enough to support their existence. For now, we can just keep looking for them.